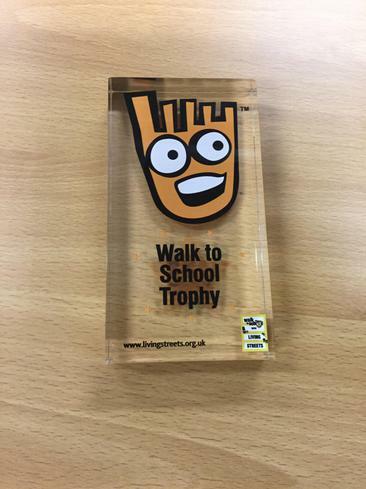 Today the children of Sharnford were presented with a trophy for winning the highest percentage of children walking/cycling/scootering to school in Leicestershire. Didn't we do well? !